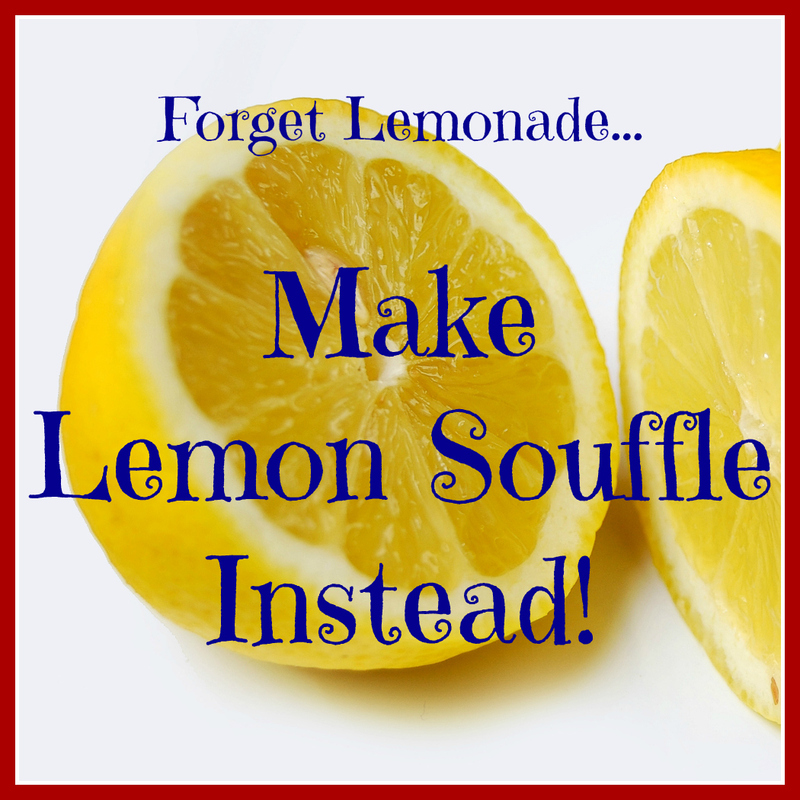 Forget making lemonade out of lemons – Make Souffle! rice pudding or caramel or butterscotch – they’re all good. However, he does have a favorite. 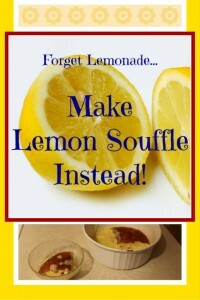 Lemon Souffle Pudding is a dessert Rob’s mum would make for special occasions for their family. It’s one of the many recipes we’ve incorporated into this next generation, and forwarded to our adult kids. 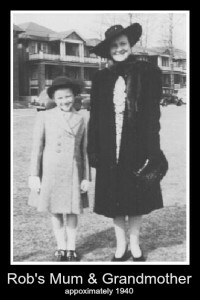 The original recipe is from Rob’s maternal grandmother. One for him alone and another for everyone else at the table! Heat the oven to 350 degree Fahrenheit. You’ll also need a larger pan, filled halfway with hot water to place the souffle dish within, as it is baking. This technique is called a “water bath” and it stops the souffle from cooking too quickly. Stir the 2 Tablespoons of flour into the 1 cup of milk. Stir well, breaking up the bits. Separate the 2 eggs into yolks & whites. Beat the whites of the 2 eggs till fluffy in a bowl. Whip in 1/8 teaspoon of cream of tartar when the egg whites are fluffly. Set aside. Add the slightly beaten yolks from the 2 eggs to the milk and flour. Mix well. Add the 1 cup of sugar to the milk/flour/egg mixture. Mix it up. Grate the yellow peel of the lemon – be sure to grate the peel very fine. Add the finely grated lemon peel to the milk/flour/egg mixture. Juice the lemon, and add the juice to the milk/flour/egg/grated lemon peel mixture. Add the melted 1 teaspoon of butter to the above mixture. Add the pinch of salt. Mix well. 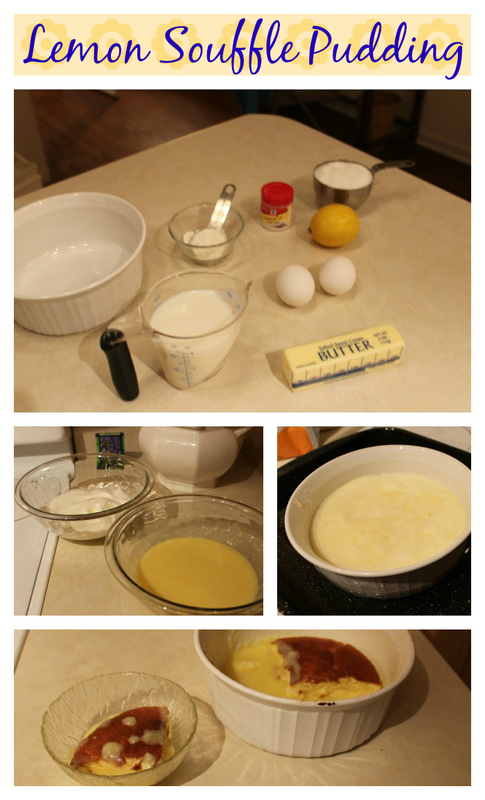 Fold the egg whites into the mixture. Gently. Pour into an oven-proof, lightly buttered (souffle) glass bakeware dish. In a larger pan of hot water, place the filled souffle dish. Make sure the water goes about halfway up the sides. Bake for 40 minutes, or until the top is slightly browned and pouffy. Remove the oven. Let it cool slightly, and then remove the pudding/souffle dish from the water bath. Enjoy either hot, warm or cold! This souffle/pudding has a fluffy top layer, with a creamy custard-y bottom layer. Do you have any recipes from your spouse’s childhood? Our sense of smell and taste can trigger good memories. Which recipes can you make to lift up your spouse – to relive some happy times? Liv’s favorite thing for me to make for her is pancakes and bacon on Saturday mornings. She really loves it when I make the pancakes into Mickeys. http://youtu.be/O20IR-GZZYo <-- Watch Jerry Make "bacon & eggs" via pancakes.